Are you getting the best ride possible on your Harley-Davidson? We want to help you to get not only the best, but also the safest, ride under your belt each and every time you head out on the road. 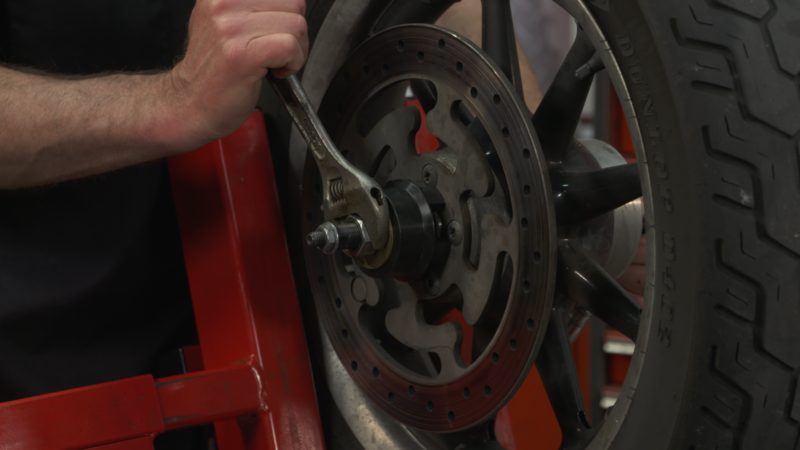 There are six basic and advanced maintenance procedures that you’ll see and learn to perform in this class – that will help you keep or improve the rideability of your motorcycle. Here at Fix My Hog, we have received countless questions over the years concerning a wobble on Harley Davidsons. There are many different variables that can cause a wobble. 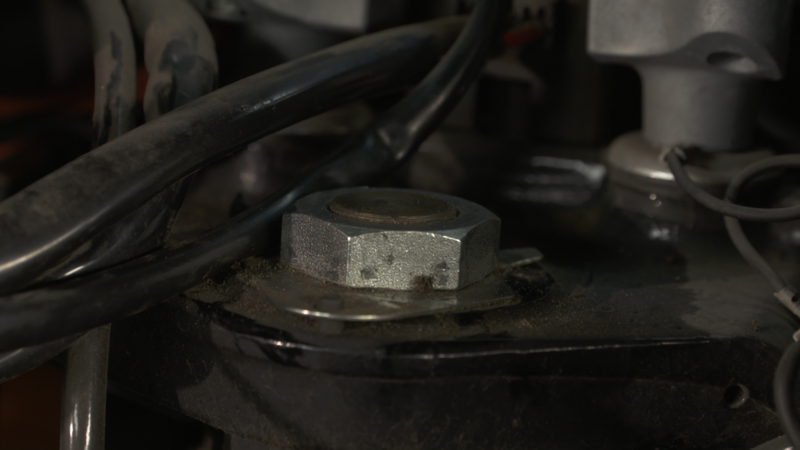 There are a number of areas on the motorcycle to consider and inspect when diagnosing this issue. Your instructor, Mike Roen, will lead you step-by-step through the process of diagnosing the problems of rideability or a wobble. Once you understand what the issue is and the area of the motorcycle that might be causing it, you’ll have the knowledge and skills to correct them. In addition to the detailed video instruction, this Class provides you with some extra downloadable information. 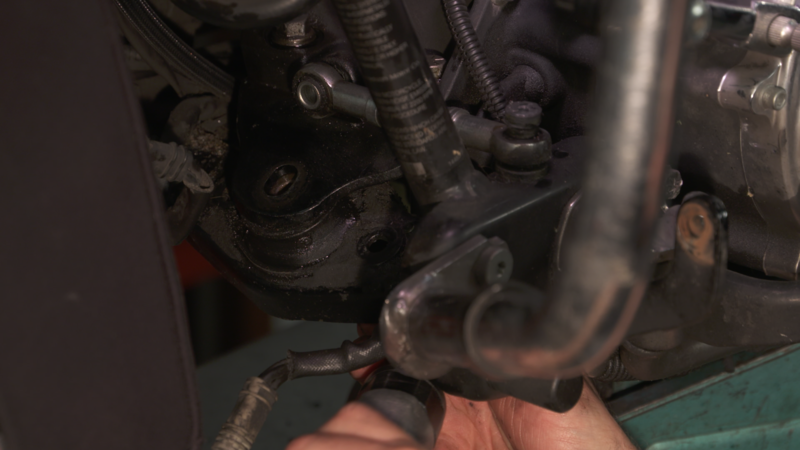 Those include a printable Class Guide covering the key steps in the class, and three bonus video downloads – covering more discussion with Mike on how to improve your ride, and detailed instruction on the removal and replacement of a fairing bracket. Get it all now with this class! Mike Roen comes to Fix My Hog from Morehead, Minnesota. Skipping bicycles as a youth, he went straight to motorcycles and fondly remembers his Honda 50 CA 110. That love of riding led to racing motocross in California. He took all that experience and went to school to start a life as a mechanic. 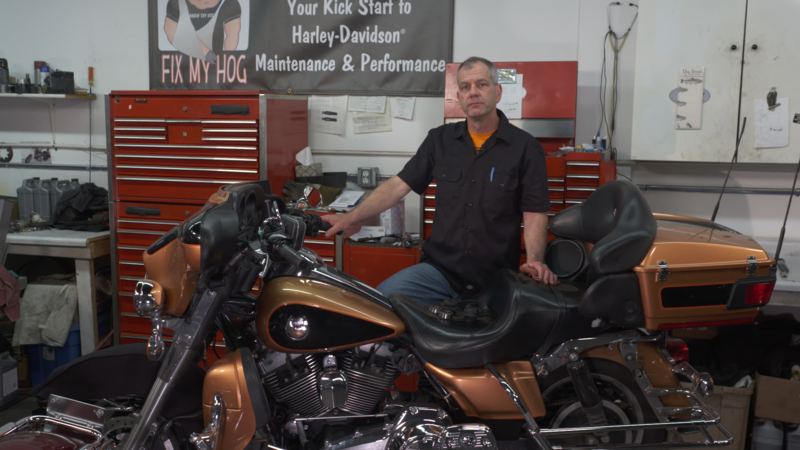 Over 35 years of real world experience has brought his wrenching knowledge to us here at Fix My Hog. Q: Do I have to be a Member of Fix My Hog to purchase a Class? A: No you don’t. While Premium Members will receive regular offers for special deals on Fix My Hog Academy content, Classes are not reserved exclusively for Members. If you buy a Class as a non-member, we’re sure you’d also enjoy having access to our full library of great motorcycle videos and articles as a Member, so give it a try. Q: How do I access/view my Class? A: Once you’ve paid, you can access/view your Class by going to the MY ACCOUNT section of Fix My Hog. The MY ACCOUNT link is in the upper right-hand area of the website. Within your MY ACCOUNT, a section labeled “My Classes” will appear, including a link to watch the video of your Class. You’ll also receive an email confirmation after your purchase, which will include a link to view your Class. You can access your Class as many times as you wish, and you’ll never lose access to your Account information. Just be sure to “Log In” for access to MY ACCOUNT. Q: Can I View A Class On My Tablet Device Or Mobile Phone? A: No problem. Most newer-model smartphones or other mobile/tablet devices with an internet connection are able to play the Class videos. Simply Log In on Fix My Hog, and you can view any Class you’ve bought through the MY ACCOUNT section. Or, you can click on the “View Class” link within the email confirmation you’ll receive upon your purchase. Q: How Does The Class Q&A Resource Benefit Work? A: Once you purchase any Class, within the Class viewing page, you’ll have access to post a question, comment or tip in the Class Q&A Resource area. This is not a “live chat,” but your Class Instructor and Fix My Hog contributors will answer posted questions and provide tips regularly. You can also view other Class participants’ questions and input to take part in this virtual dialogue among others who have taken the Class and are willing to share tips, answers, or ideas. Q: Why do you need my email? A: We need it to acknowledge your purchase of a Class, and send you a confirmation of your transaction. Also, in order to maintain your permanent access to the Class videos, you’ll need to Login to www.fixmyhog.com. We guarantee that we will not share your email with any third parties. You may receive email updates from Fix My Hog from time to time, with details of new Classes and updates. You can easily unsubscribe when you receive any email. Q: How do I contact Fix My Hog Academy? A: If your question is about the Class content, please use the Class Discussion benefit to ask your question online – and you'll receive feedback from the Class Instructor. Even your fellow Class participants may jump in to offer tips and advice from their experience. If you have other questions or need help, you can email us at fmhsubscription@program-director.net or call us toll-free, at 1-855-231-0653. Service Representatives will be available Monday-Friday, from 8:00AM to 4:30 PM Central time, excluding normal holidays. Your instructor Mike Roen will walk you through the possible reasons for a wobble, what to look for and how to repair this potentially dangerous condition. 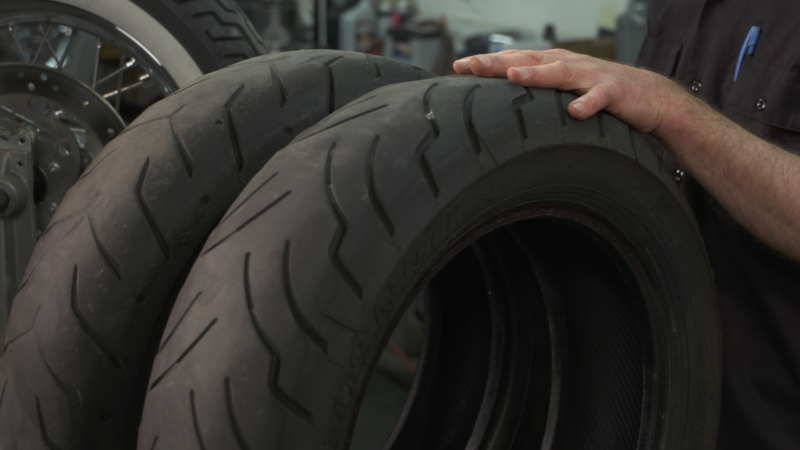 Tire pressures and tire conditions are probably the most overlooked area of a motorcycle. Running bald or damaged tires on an automobile is extremely dangerous. When you are only dealing with two tires, the danger increases tenfold. Check your tire pressure once a month or before every ride if you are touring and traveling a lot of miles daily. Mike gives a visual of what to look for when inspecting your tires. Bad wheel bearings can cause a wobble. Sometimes you will be able to hear a failing bearing when coasting with no throttle and the clutch lever pulled in. Other times, you will have to remove a wheel and physically feel the bearing to determine weather or not it is bad. If your motorcycle has high miles and bearings have not been replaced, plan to change bearings at your next tire change. 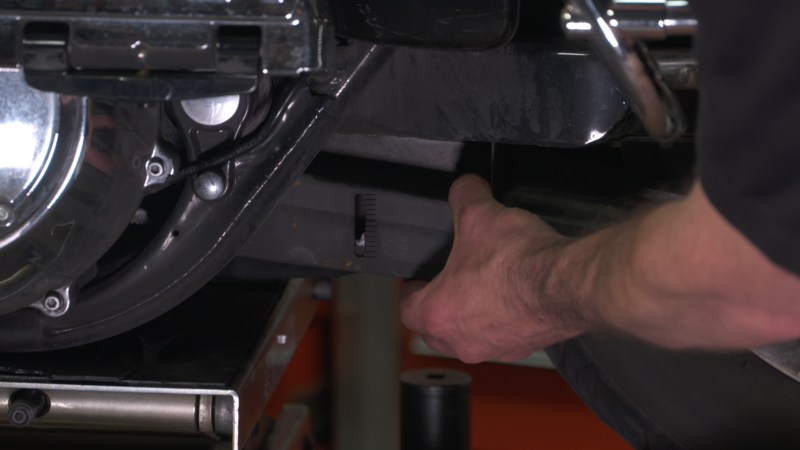 Incorrect belt deflection can adversely affect handling on your Harley Davidson. Refer to the factory service manual for the correct spec for your year and model. Check your belt deflection when you check your lights and tire pressures during your pre-ride inspection. Also check for correct shock air pressure for your load. 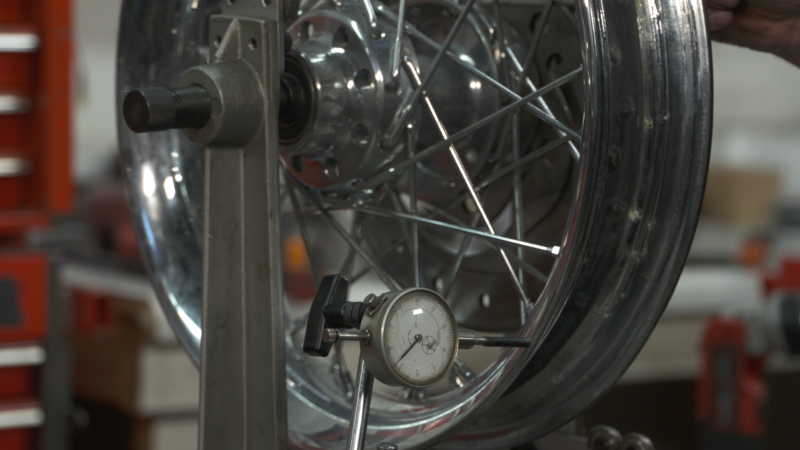 If your motorcycle has spoke wheels, spoke inspection and maintenance is very important. Loose spokes will not only adversely affect handling but will also damage your wheel hub. If not maintained, lateral and radial rim run out will change and a wobble will occur. A worn or torn front motor mount can be the source of a wobble on a Harley Davidson. The design had been very much the same until 2009. Three rubber mounts support the entire weight of the motor, transmission, and drive. Inspect your front motor mount whenever performing regular maintenance. Incorrect neck adjustment will cause wobble, on deceleration or at high speeds. A loose neck is the most common culprit of wobble after tires and wheels. Neck inspection and adjustment is an important service point on a major service that should never be overlooked.